Rowers Jordan Irving , Jake Hoffman, Danny Kaufman, Matt Dain and Sarah Dobkin, who served as coxswain [steerer] for the boat. Suffern High School rowers Jordan Irving , Jake Hoffman, Danny Kaufman and Matt Dain were impressive in postseason competition this year. The four senior boys won the Hudson Valley Rowing League championship and placed sixth in national competition. They will be attending Marist, Stanford, Northeastern and Bucknell this fall. Their run for glory started with unassuming beginnings. In 2015, Freshman Jake Hoffman wrote to Senator David Carlucci requesting assistance for the crew program. Senator Carlucci was moved by the letter and found a $100,000 state grant with which the Suffern rowing team was able to purchase four new boats. On top of being the Rockland County Champs this year, this spring season the Boys placed second at the NYS championship in Saratoga Springs and moved on to SRAA Nationals where they placed sixth in the nation after coming in first and second in the semifinals. 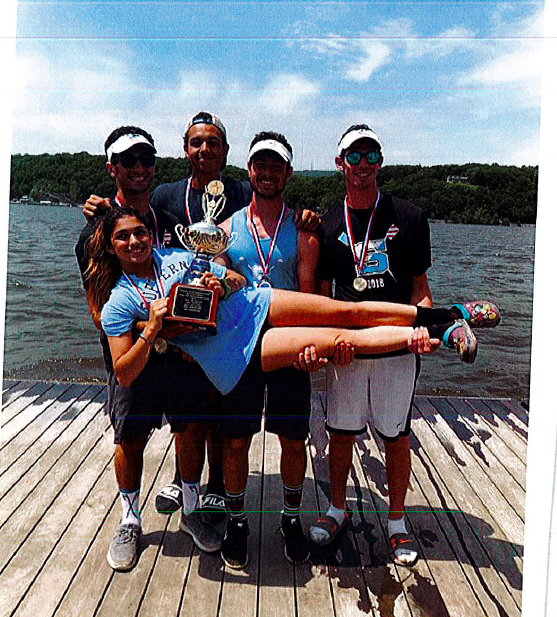 Congratulations to Suffern rowers on their success.